First-class amenities, personal service and exclusive access - our suites provide the perfect setting to entertain clients, reward your best employees, or enjoy an evening with friends and family, all in the comfort of your own private space. 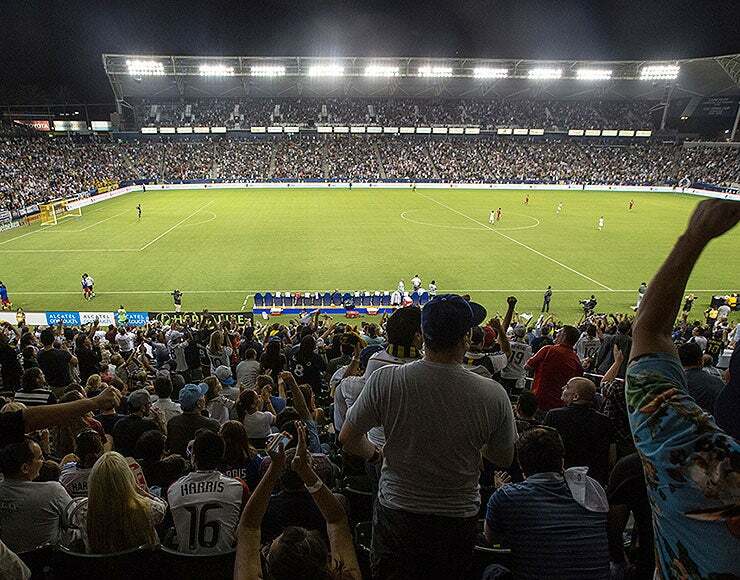 Suite members receive tickets to events in the main soccer stadium including LA Galaxy matches, national team and international soccer matches, concerts and special events. Preferred Parking - Suite holders receive complimentary preferred parking. 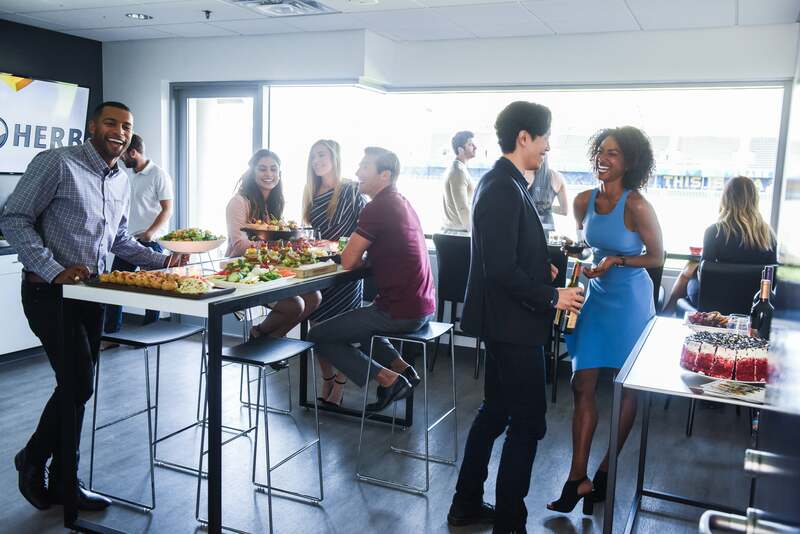 American Express Stadium Club - Entertain guests in our exclusive club before, during, or after events. The club offers a full service bar and restaurant located on the south end of the stadium overlooking the field. San Manuel Platinum Club - Clients have exclusive access to a bar located behind our Platinum club seat sections on the west side of the stadium. Exclusive VIP Entrance and Will Call Window - The VIP Entrance allows the fastest entry into the stadium and our VIP Will Call Window provides shorter wait times at the box office. Catering Options - Suite holders can purchase food and beverage items from an expansive menu catered by Levy Restaurants. Orders may be placed in advance or on the day of the event. All suites are equipped with sinks and refrigerators for your convenience. Special Access - Suite holders receive special access and invitations to events and receptions exclusively for Premium members. STAPLES Center Event Offers - Clients receive access to purchase concerts and special events before they go on sale to the public.